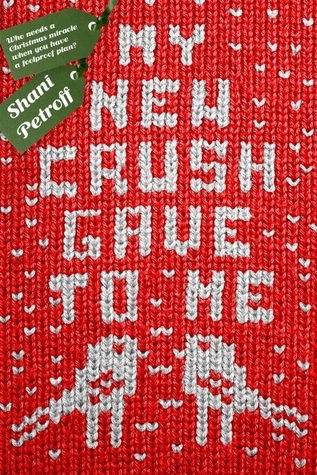 My New Crush Gave To Me is Shani Petroff’s second novel with Swoon Reads. I read her first, Romeo & What’s Her Name back in February, and while I enjoyed it, it did seem on the younger side and wasn’t quite what I was expecting (read my review here). However, I ended up really enjoying My New Crush Gave To Me and practically read it in one sitting! Charlie Donovan is a passionate, driven, and very organized student. She likes her schedules and despises tardiness above all else. As co-editor of the her high school’s newspaper with her best friend, Morgan, her organization and schedules are needed. However, the party of the year is quickly approaching and she has no date. Charlie knows Teo, another driven student, would make the perfect date and boyfriend. She just needs to find a way to make it happen. She strikes up the plan to rig the newspaper’s Secret Santa drawing so that she will be able to pick out five gifts that will make him notice her. This turns out more difficult than she originally thought and is forced to enlist the help of Teo’s cousin, J.D., the perpetually late photo editor. My New Crush Gave To Me is the perfect holiday rom-com. Shani Petroff does a fantastic job of bringing in the winter and holiday vibes. I loved reading about all of the holiday activities from decorating Christmas trees to singing carols to baking delicious treats, I am so ready for the holiday season to kick off now. The romance is adorable. I loved watching Charlie fall for the boy, who is different than the ideal she has in mind, but who knows her and appreciates who she is. The development of their relationship is slow, which I really enjoyed. I love how she goes from hating J.D. to begrudgingly becoming friends to feeling something more. J.D. was such a sweet and goofy character that I couldn’t help but fall for myself. Charlie’s friendship with Morgan was another plus. I loved how these two actually acted like best friends. They hang out with each, participate in the same extracurricular activity, and even start their own business together. They are supportive of each other and have each other’s back no matter what. I loved Charlie’s personality. I am like Charlie in that I am very organized, passionate, and detail-orientated. I really connected seeing a character like this play out on the pages. Even though I am not as bold or loud as Charlie is, I appreciated this aspect of her character and admired how she wasn’t afraid to go after what she wants. I also liked how she stays true to who she is throughout her character growth. Overall, My New Crush Gave To Me was the perfect book to get me into the Christmas spirit! I definitely recommend it to those looking for an adorable, fun holiday rom-com. Great review! This sounds like a super cute and fun read! And I don’t think I ever read a holiday theme book I should give it a try! I don’t really read holiday themed books, but I definitely want to read more after this one! This was such a cute adorable book, perfect for this time of year. It is definitely the perfect book to kick off the Christmas/holiday season! Yay! Happy to see that you loved this – I skimmed your review because I’m reading it for review next week. I hope you love it as much I as did!